Are There Free Methadone Clinics? Home / Articles / Are There Free Methadone Clinics? The drug class of opiates includes drugs like morphine, heroin and codeine, as well as prescription painkillers such as Percocet, Percodan, Oxycontin and Vicodin. These drugs are highly addictive and destroy the lives of millions of Americans every year. Every year nearly two million people illegally abuse prescription painkillers for the first time and opiate addiction and abuse has continually increased throughout the years. 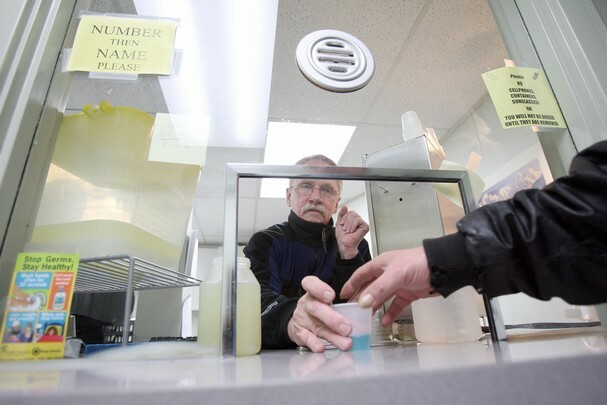 Publicly funded methadone clinics can help you get treatment even if you are financially unstable. Although most people first take opiate drugs voluntarily, all opiates are extremely addictive and once a person forms an addiction to an opiate drug, they will no longer be able to control their urges to use. Addiction and dependency typically go hand in hand, and if a person becomes dependent on opiates they will have withdrawal symptoms once they stop using the drug. Withdrawal symptoms from opiates can be painful and extremely difficult for a person to go through, which is why many people seek out treatment to help them safely get through their detox. One of the most effective forms of treatment for opiate withdrawal is methadone. According to the National Institute on Drug Abuse, methadone is one of the best treatments for opiate addiction. Methadone works by affecting the same areas in the brain as other opiates do, this way the body has fewer withdrawal symptoms. Methadone will significantly decrease withdrawal symptoms while relieving drug cravings. Moreover, methadone helps drug addicts to stop their drug seeking behavior and also helps patients become more receptive to behavioral treatments. Methadone clinics are available to help people conquer their opiate addictions. However, methadone treatment can be more expensive than other treatment options, but it is proven to be highly effective. Drug addiction is a chronic disease that causes harm to people, and until these people get help, their disease will get worse. Because of this there are free rehabs available to people to help them get over their drug addictions. Free rehabs can be found at sites like, www.freerehabcenters.org. According to the National Institute on Drug Abuse, approximately 600 billion dollars is spent annually on drug addiction and substance abuse in America. Drug addiction treatment programs help to reduce these cost by helping people overcome their addictions. One reason is because drug addiction treatment programs are far less expensive than an inmate’s expenses. The average cost for one year of methadone treatment is around 4,700 dollars per person. Adversely, the annual cost for an inmate is around 24,000 dollars. Publicity funded rehabs are free to people who need help, and this includes methadone clinics. However, some of these clinics have waiting lists and a person who needs help should receive the help they need when they want it. If a person cannot find a free rehab they should look into sliding scale methadone clinics, which will work with a person on payment based off of their current income. This can end up being extremely cheap for people who do not make a lot of money. Should My Family Be Involved in the Methadone Treatment Process?